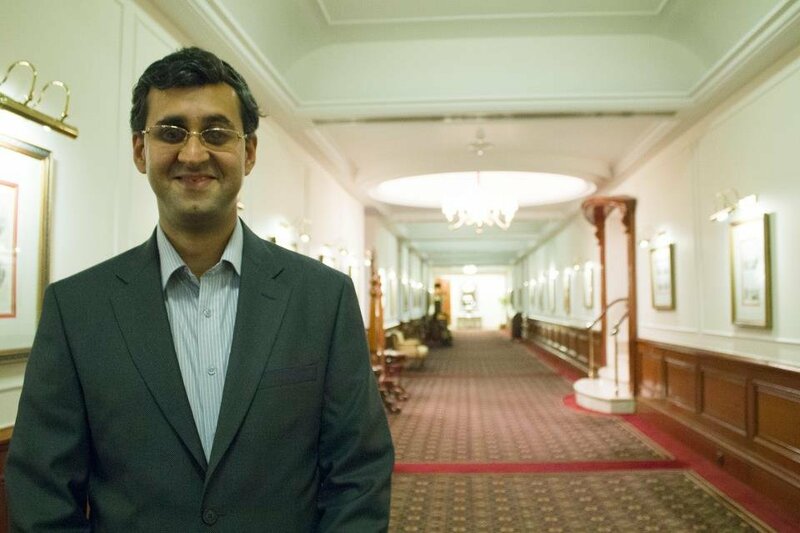 Divyanshu Ganatra's story could have been just another inspirational account about a blind person not letting his disability affect his life. But in the last few years, he's moved on from being a regular guy to inspirational to just unbelievably awesome! Imagine going for a routine doctor's appointment and getting a deadline for your eyesight. That's what happened to Divyanshu, who lost his vision at age 19 due to glaucoma. He reacted just like any other teenager would. In a candid chat with us, the 37 year old said, "I was in complete shock and denial. At that stage, I went through a roller coaster of emotions. You're angry and shocked, and upset and disturbed. But then I saw that all the people around me were also dealing with the grief in their own ways. So I put on a brave face and and dealt with my emotions internally. Over time, I managed to come to terms with it and the only statement that I kept saying to myself was, that it could have been worse." 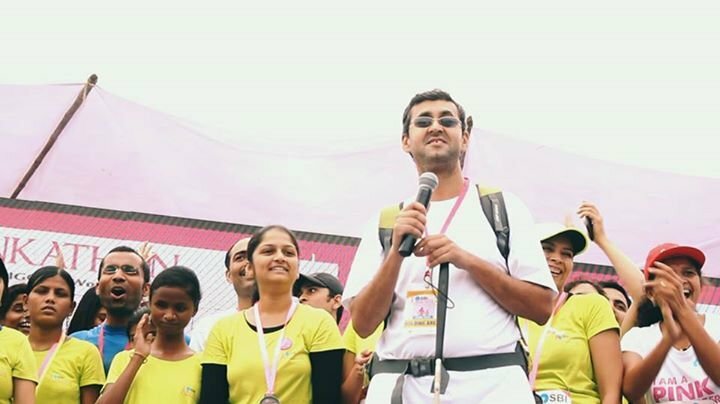 In the following years, Divyanshu challenged every existing stereotype associated with the blind community in India. He too went through the NGO, therapy and rehab drill, but came out upset and frustrated. He says, "I went to different therapy centres and bodies working for the care and development of the blind in the country. But the environment there was not right for me. I felt it was very disempowering. NGOs and all these bodies run on the charity case model, which is anything but sustainable. The only career options they had for me were making chalk, cane furniture, or become a telephone operator. I decided against that and took my education and career in my own hands, but its sad that I am the exception." Divyanshu studied to become an IT professional, and if you thought your graduation was difficult, imagine learning computer commands by listening to recordings and studying through audio books. After all these years, he can joke about the days and said, "In college, people would run away when they saw me approach them with a book. I would ask people to record entire books for me and every assignment would take me so much more time and effort than my classmates. So, the sad part is that I am willing to work hard, but I should at least have an equal platform to compete. It's the absence of the platforms that make it so easy for any disabled person to become a charity case." And that is his biggest battle till date. 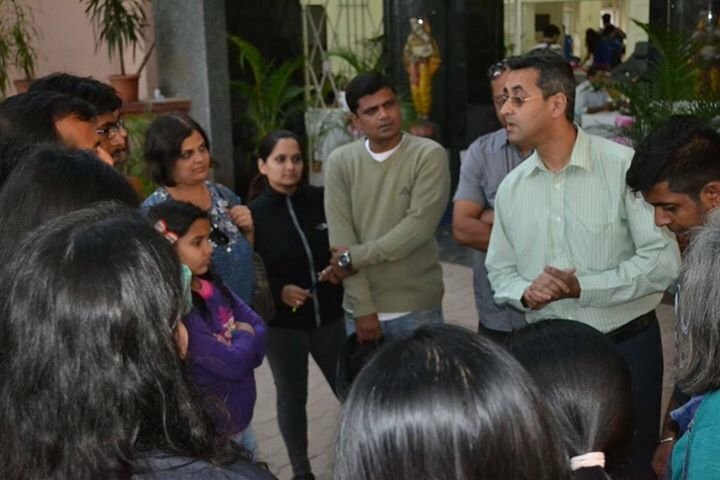 Alongside establishing a successful IT career and earning a National Award for the Welfare of Persons with Disabilities, Divyanshu is now also a clinical psychologist trying to give back to the blind community. "The biggest battle is that the blind are still a charity case. For people who're blind at an early age, they grow in an environment where they're treated like they've earned special treatment. They need to know that the world doesn't own owe them anything. Growing up in a protected parental environment, sitting on a government job - there's more to life than that." And to the authorities trying to help, there's more that can be done than just donating money. "So many companies and individual bodies are always looking to help. 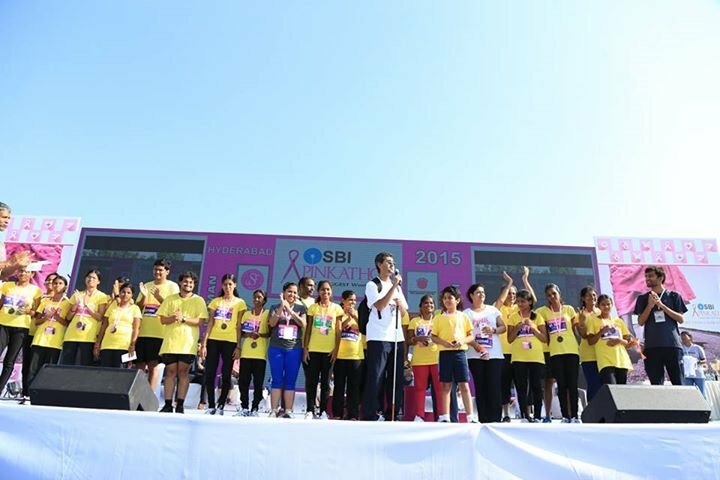 Instead of just donating money as the CSR quota of the year, they can come in to train the community, provide employment opportunities, and most importantly, treat people as equals. Even when I had the right required merits, I would be denied a job only because my blindness made someone in some department uncomfortable. My disability is not the problem, the attitude towards it was. So many times, I've heard people say things like, 'oh he's blind, how will he manage that.' Instead of saying that among yourselves, ask me this question and I'll convince you. I know it's an awkward conversation to have, but try me at least." It's interactions like these, or the absence of them, that motivated him to start his latest project, Adventure Beyond Barriers . Divyanshu is an avid traveler. And by traveler, we don't mean the dip-your-feet-in-water-and-holiday-in-hotels kind of traveler. 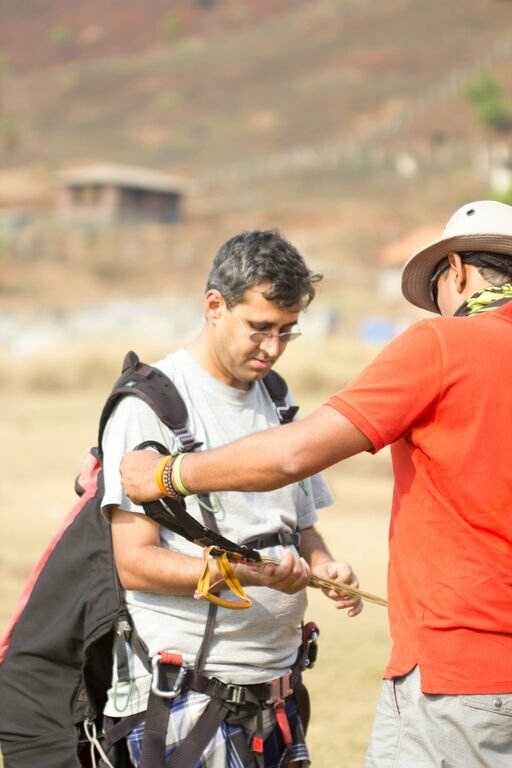 Last year, Divyanshu created a new record by becoming the first blind person to complete a solo paragliding flight. 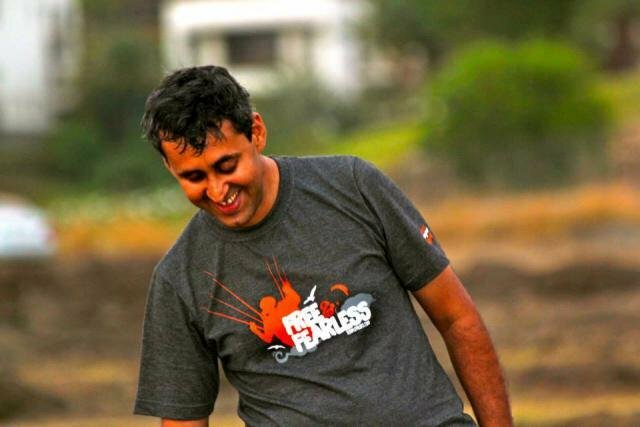 He's been a fan of adventure sports since before he lost his vision and it's a fascination that has continued till date. 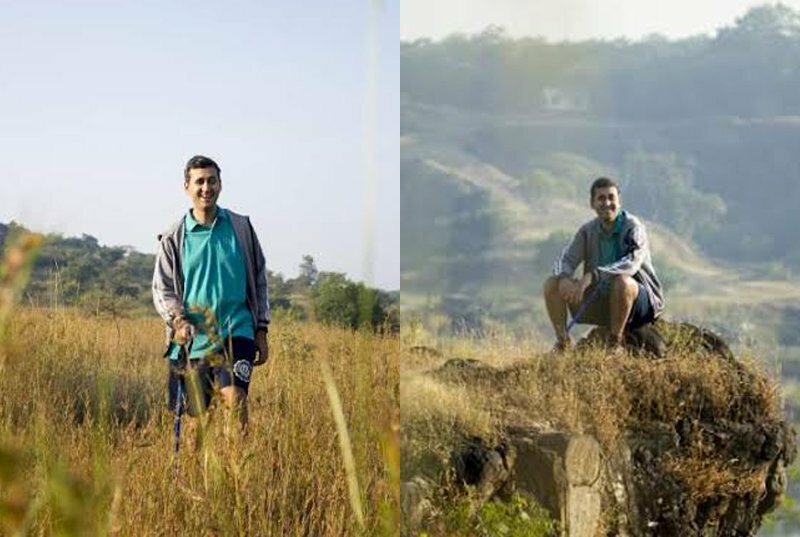 Divyanshu has completed treks on the hills of Himachal and several others near Pune. Adventure Beyond Barriers organizes similar sporting activities for people with disabilities. 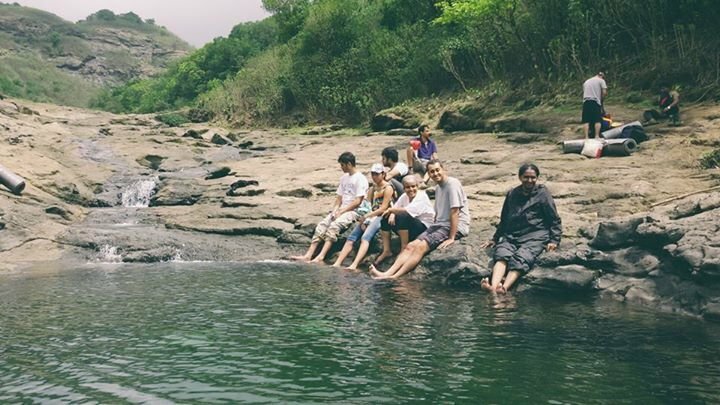 Speaking about the concept behind his venture, Divyanshu said, "We organize different adventure activities of different levels for groups that have both disabled and able bodied members. I feel sports can be a great way to bring two communities together. Our activities range from marathons to rock climbing, scuba diving, trekking, and more, and in all of these camps, both categories of people work and complete challenges together." "At these camps, people realise that 'disabled' and 'able bodies' are terms that we've created in our heads. People with disabilities approach challenges the same way, just put one foot in front of the other and keep going. They've grown up listening to statements like, 'you can't do this,' but once they complete an activity, however big or small it might be, they achieve a whole different level of confidence. And the other members, the 'able bodied' attendees achieve a new level of respect for their disabled partners. After every camp, every trek, we see people come back down as equals, which was my concept for starting Adventure Beyond Barriers. 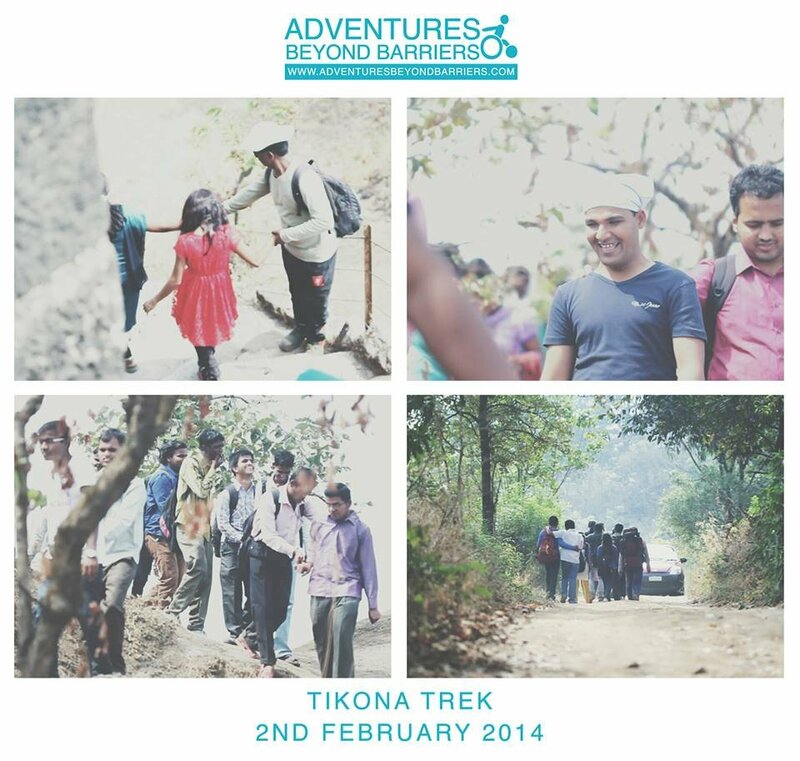 We've had CEOs and heads of organizations come for these treks and people go back with employment opportunities." 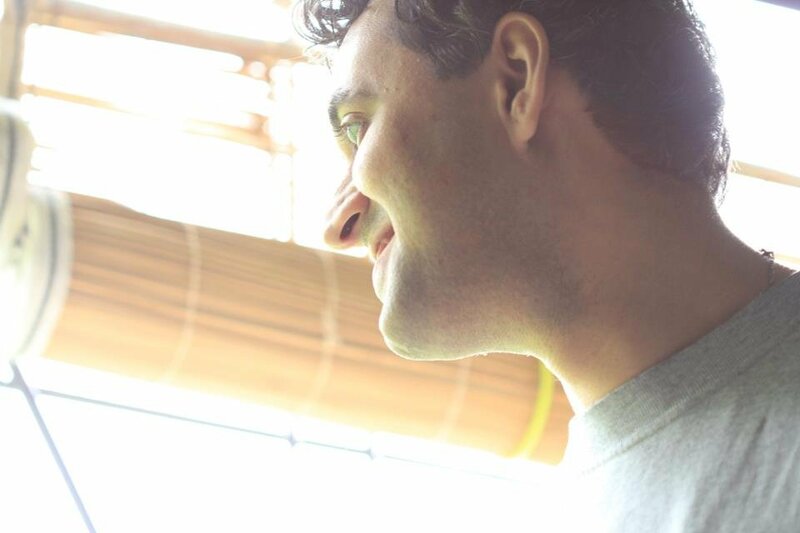 His own travel experiences have transformed Divyanshu as a person. And however cliched it may seem, the way he describes the mountains is something every mountain lover can relate to. Not having the sense of sight doesn't seem to matter. 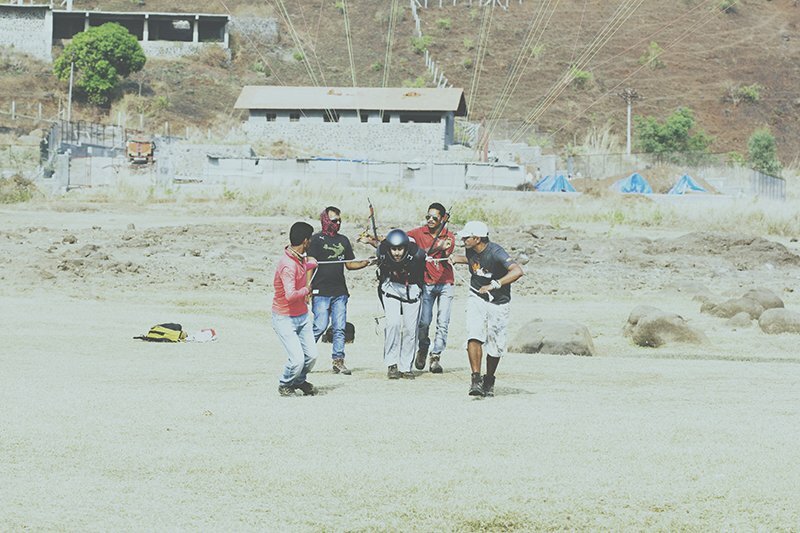 He says, "The paragliding experience was so liberating for me, almost at a spiritual level. I felt so free and all the limitations that one sets on themselves were broken in those two minutes. The Himalayas were a different experience altogether. Humbling, I would call it. You realize how small you and your problems are in front of the might of the mountains. I trek with professional mountaineers and I often tell them to stop and describe the view to me. They tell me that when they have to use words to describe the mountains to me, they feel like they're really seeing the mountains for the first time too. That's the power of conversation." If you have to stories like that, who wouldn't call you inspirational. But that's one word Divyanshu is sick of hearing. "I am working hard to move from being an exception to making this a norm. Yes, we've achieved a lot, but there's so much more that has to be done. We need to include people from the disabled community in every aspect of society because they can successfully fulfil these roles now. Sadly, there's so much hypocrisy around me still. People will call me inspirational, but not want to work with me, or for that matter, date me. Everywhere I go, 'inspirational' is the word I hear. People will come meet me and other blind people, be impressed with our stories, call us an inspiration, and move on with their lives. That's not helping anyone. I'll be eating dinner at a restaurant and people will come meet me and call me 'inspirational.' Eating dinner is not inspirational, so maybe, raise your levels there. 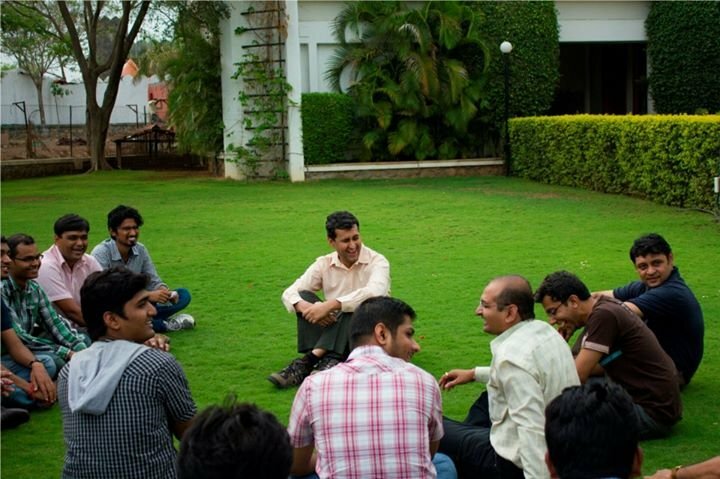 Work with us and then you'll realize that," he says confidently. Well, here's hoping! 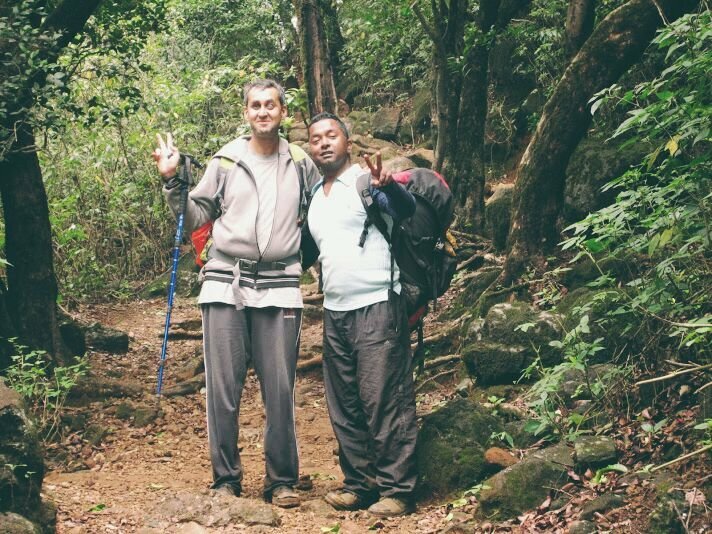 Thanks Divyanshu, we're planning our next trek with you.